Explore and master the advanced networking techniques required to achieve the CCNP qualification. This bundle will give you access to all the training modules required to sit the Cisco CCNP accreditation exam, and to demonstrate complete mastery of a modern computer network. Here, you'll learn the networking fundamentals you need to start working in Cisco wireless environments. Before you know it, you'll have the expertise necessary to implement and manage Cisco networks. This course will take you beyond the skills of basic enterprising networking to prepare you to sit the Cisco Voice specialization exam. You'll learn how to extend network protocols to support voice over IP (VoIP) that will permit features such as advanced call routing, voice mail, contact centers, and more. 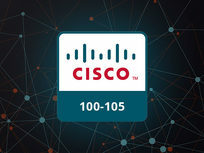 Study to pass Cisco's base-level certification exam in this course. 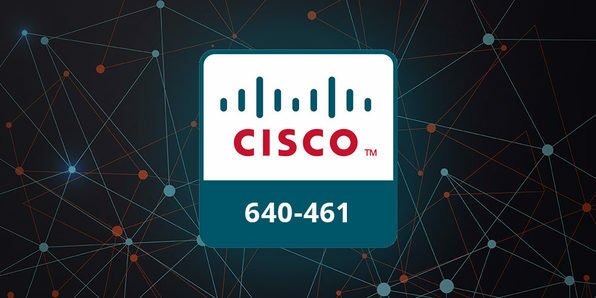 If you've never worked with Cisco networking systems before, this course will help get you on track to earn an essential certification and launch a career in networking. This course goes beyond part one to prepare you for Cisco's 200-105 ICND2 certification exam. You'll expand on what you already know about networking and extend your learning into cloud based networking and wide area networks. If the news is any indication, network security should be absolutely paramount in any enterprise environment. As such, people with Cisco's IINS certification are often in high demand. This course will prepare you to sit the exam by arming you with the requisite knowledge to implement network security. Cisco CCDA recognizes network design engineers, technicians, and support engineers who have a basic understanding of network design fundamentals. This course will get you up to speed on how to design networks using Cisco best practices and prepare you to sit the CCDA certification exam. Explore and master the advanced networking techniques required to achieve the CCNP ROUTE qualification. This bundle will give you access to all the training modules required to sit the Cisco CCNP accreditation exam, and to demonstrate complete mastery of a modern computer network. Once you've covered the basics through to advanced fundamentals of designing and implementing Cisco networking systems, there's one big thing left to do. Learn how to troubleshoot them. Becuase they won't always work the way you want. This course will teach you how to troubleshoot a wide variety of networks and prepare you to sit the CCNP - TSHOOT certification exam.